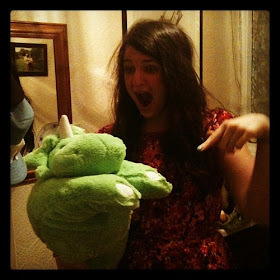 t*rexes and tiaras: One stitch at a time.. Since 2018 seems to have gotten off to such a quick start that I've not really had time to catch my breath, I'm trying to focus on the things I *have* managed to achieve, rather than that infernal to-do list which seems to hang over me like a grey cloud. 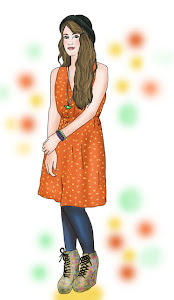 Yes, we might be mid-way through February and no, I still don't seem to have put together the posts I've been planning on my dressmaking goals, challenges for the year ahead or the outfits I'd had in mind to share, but there we go. I've been slowly learning that sometimes it's okay that life gets in the way and other things take priority and whatever you can manage is enough. So, in lots of exciting announcements this year, it seems that lots of my friends and family are expecting babies this year, so I've been spending every spare minute knitting, it seems. Here are a few of the things I've finished and posted off to their new homes in the past few weeks. The gold short-sleeved shrug is not for a newborn, but for a second birthday present. I used the Entrechat pattern which was recommended to me by a friend who has made a lot of them and I really liked how it came together. I have another, slightly larger one in mind for another little girl who has a birthday coming up. 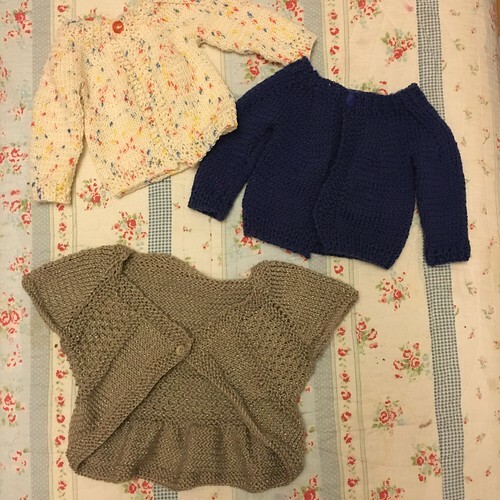 The two newborn cardigans were made from this free pattern, which came together quite nicely. The whole blog is filled with newborn / preemie sized baby clothes, hats and boots and I'm currently trying out another of her patterns. I've discovered that a newborn cardigan only uses approx. 50g of wool, so this has been the perfect way to use up some of my leftovers and odd balls of wool which I'd not been sure what to do with. I've also found that it's much easier lugging a baby-sized project around with you to the cinema, or to work on in your lunch hour, than dragging a part-finished blanket about with you, or even an adult sized jumper. So, even though I might be annoyed that I haven't managed to get some of my other projects finished, I'm resting safe in the knowledge that I'm at least making a some progress. Have you made anything lately? Anyone else come to the realisation that there's enough pressure on you without adding any more..? There are indeed babies everywhere. Each day I keep finding that another one is expecting. Nice knitting projects!